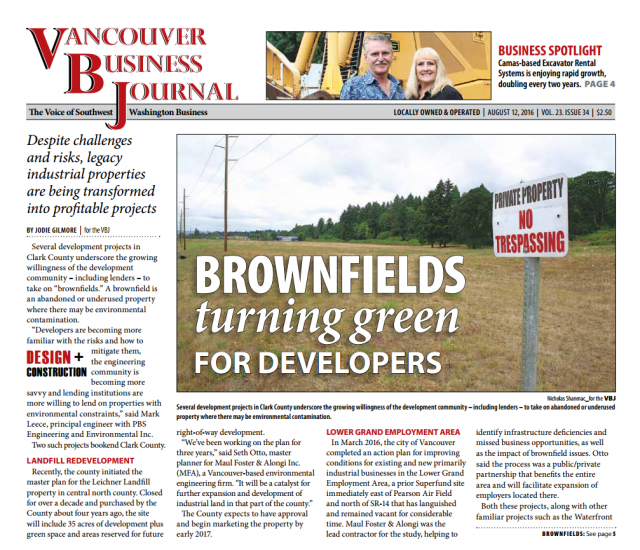 The Vancouver Business Journal published an article on brownfields in Clark County. MFA is proud to be the leading brownfield consulting business in the Pacific Northwest. In the article we expand on the concept of the 4th Generation of Brownfields™ and explain how at many sites, “development is the remedy.” Read all about it in their latest issue below.